Thank you to our sponsors, the bands who performed, the volunteers, and everyone who attended. JMF 2017 was one of our most successful years ever, both in terms of the quality of the show and the amount of money raised. This year's event raised over $5,600 for Type 1 diabetes research. The Jet Beats performing at the Orbit Room during JMF 2017. Type 1 diabetes is an insidious disease. The person who has it looks normal, but their body is fighting against them. Type 1 destroys the bodies ability to produce insulin. Without insulin our cells can't get energy from the food we eat. A person with Type 1 must take daily injections of insulin just to survive. Even with good control of the disease there is a risk of developing complications that can lead to blindness and amputation. Thankfully, the money raised by the Juvenile Diabetes Research Foundation (JDRF) is helping to develop therapies for treating the disease. While there is still no cure the outlook is very positive. Fundraising events like Jake's Music Festival take place all over the country. Golf outings, bake sales, bike rides, and walks all add up to millions of dollars raised every year. Because of this effort we are closer then ever to finding a cure for Type 1. Thank you once again to everyone who was involved in any way with this year's festival. One day soon we will see an end to diabetes. Months of planning, dozens of band practices, and countless volunteer hours all come together tonight with the 13th edition of Jake's Music Festival. The Orbit Room will be rocking with one of the best line-ups we've ever had. The doors will open at 6:00 p.m. and it would be a good idea to get there soon after. There will be a surprise musical guest on stage for early arrivals. Plus you'll want to get a jump on the silent auction. We just added a 2 night stay at the Homestead in Glen Arbor, a 10 person brewery tour at Founders, and a Tahquamenon Falls Riverboat Tour. Lipstick Jodi will hit the stage at 7:00 p.m., followed by The Jet Beats, The Autumnatic, and PotatoeBabies. Papa Vegas will close the show at 10:00 p.m. Jake Scheidel will be the lead emcee, ably assisted by Shelley Irwin of WGVU-FM, John Sinkevics of Local Spins, and local legend Aris Hampers. Because this is truly a festival, along with the music, local comedian and artist Sarah Jean Anderson will be creating original paintings on vintage vinyl record albums. Terpstra Photography will have their PartyBooth set up so you can get a photo memento of the evening. Of course there's the silent auction with a variety of merchandise from local businesses. Speaking of merchandise, we'll also have some band and JMF merch for sale. And what kind of festival would it be without food and drink. Perrin beers will be on tap at the bars. There will be a hot dog stand with dogs for a $1 donation. Grand Rapids Pizza and Delivery will also be walking around selling personal pizzas. So come early and stay until the end. We've got great music, art, food, drink and plenty of fun in store for you tonight. In addition to the festival activities listed below, we've added a really fun photo booth by The Party Booth. Special thanks to our sponsors Perrin Brewing Company, The Gordon Group, PC Specialist, and Town & Country Carpet. Because of them 100% of the ticket price goes directly to find a cure for type 1 Diabetes. While the music is great, this show is a festival, not just a concert. We have some fun things in store for this year's event. Local artist and comedian Sarah Jean Anderson will be here creating original works of art for guests. Donation to JDRF requested. Buy a VIP ticket for $25 and get special reserved seating above the stage. 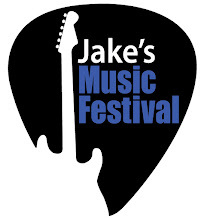 You'll also get a swag bag stuffed with a Jake's Music Festival t-shirt, button, and guitar pick. You get a drink ticket to be used at the special VIP bar, as well as, Boxed Water and a can of XS Energy drink. Plus restaurant gift certificates. A $40 value. The Orbit Room bar is in the same room as the bands. So there's no need to leave the music in order to go to the lobby for a drink. We'll also have a wienie roller and pizza from Grand Rapids Pizza & Delivery. There are always a few things that happen at the festival that we don't announce in advance (or we don't know about until they happen). In past years this has meant special guest musicians, a photo booth, a temporary tattoo parlor, free haircut coupons, and celebrity look-a-likes. One of the best local music festivals in West Michigan will see some major changes for their 2017 event. Jake’s Music Festival, a benefit concert for the Juvenile Diabetes Research Foundation (JDRF), will take place Saturday, April 22 in a new venue. After 13 years, most of those in the historic Wealthy Theatre, the festival is moving to the Orbit Room on Grand Rapids’ southeast side. Tickets are $10 in advance and $15 at the door. A limited number of VIP tickets are available for $25. VIPs include special reserved seating, a free beverage, and a swag bag. Tickets can be purchased on-line at www.orbitroom.com. Thanks to event sponsors Perrin Brewing Company, PC Specialist, The Gordon Group, and Town & Country Carpet, 100% of the ticket price goes directly to the local chapter of JDRF. Doors will open at 6:00 p.m. on April 22 with the music starting at 7:00 p.m. Jake’s Music Festival is named for Jake Scheidel who was diagnosed with Type 1 diabetes 20 years ago. JDRF is largest private funder of research into finding a cure for Type 1 diabetes. 2017 is bringing a whole lot of changes for Jake's Music Festival. The biggest news is that the show this year will take place at the Orbit Room on April 22. The Orbit Room is located near the East Beltline, just north of Centerpointe Mall, on the southeast side of Grand Rapids. The new venue has many advantages. There is more seating. The stage, silent auction, and bars are all in the same room. There is a special VIP seating area above the stage. And there are acres of free, close parking. 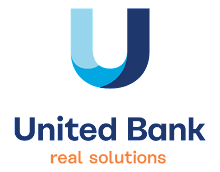 The second big announcement is our new logo. Actually, we've never had an official logo before, so the new logo is our first logo. We really like it and think it captures the flavor of JMF. We'll have some special giveaways featuring the logo in the VIP packet. Watch the web site and our Facebook page as we will be announcing the bands for this year's festival in the next couple of weeks. Jake's Music Festival 2017. Bigger. Better. And raising more money for the fight against Type 1 diabetes.